Providing quality landscaping services to the Niagara Region and surrounding areas, since 2007. Learn more about us below, or contact us today for a free consultation. 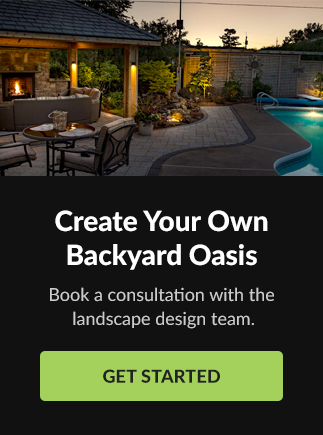 At Niagara Outdoor, we've been providing landscape design, construction and maintenance services for over 10 years. We're committed to both the quality or our work and to maintaining our reputation for prompt and attentive customer service. It's our mission to design, build and maintain landscape projects of the highest quality, in collaboration with our clients. For every project, large or small, our top priority is customer satisfaction, and we don't consider any job complete until the customer says so. Over the years, we've built a team of professionals we really trust, and that means you can trust them, too. Our expert tradesmen are reliable, knowledgeable and highly skilled, and they'll do what it takes to make sure your project turns out just as you envisioned it. We maintain the highest standards of safety, cleanliness and organization, both in terms of our standards of practice and our equipment. Our team members wear high-visibility uniforms and are fully certified in work safety protocol: they've completed Health & Safety training, are fully insured and covered under WSIB. Our equipment and fleet of vehicles are reliable, regularly and thoroughly maintained and kept in clean condition, no matter the weather. We strive to continuously grow while maintaining the high level of quality our clients have come to expect. With the proper training, equipment and systems in place, our projects run smoothly from the time of the first phone call until completion. We create great work relationships and a productive work environment through honesty, respect, appreciation and communication. We committed to the highest standards of excellence in all aspects of our company: we use high quality materials, are highly professional, provide the best service and are uncompromising when it comes to safety. We provide the best service to our clients while maintaining new and existing relationships to grow our company. We inspire each other every day with dedication to the job, initiative and direction, while maintaining a positive work environment. We use our labour, equipment and materials efficiently to maintain a profitable and productive company. We enable our employees opportunities to provide for their families while promoting growth, stability and creating jobs. This is the most satisfied we have ever been with work done at our property. Very organized, you kept us up to date, came when you said you would but most of all, we were impressed with your staff. You have great staff working for you: John and his team, the crew who came on Saturday. They all took pride in their work, were very pleasant to deal with, paid attention to detail, and it was obvious they cared about us being happy with the final result.